Well, it’s that time of year again: the leaves have changed; pumpkin is once again appreciated as an acceptable coffee ingredient and Canadians everywhere are reluctantly stowing away their bathing suits in favour of Mum’s home-made cable-knit sweaters. There’s no doubt about it, with this nip in the air and the ever-comforting smell of damp leaves and steaming cider, this is the time of year to celebrate fun, family and all things cozy; however, let’s not get too comfortable yet because October 31st is right around the corner, and it won’t be long before the sense of security that accompanies turkey dinners and toasty fires is interrupted by the incredible fun, fear and festivity that is Halloween in Burlington, Ontario! 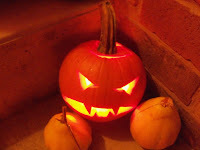 Now, some people are of the belief that Halloween is a one-day-a-year festivity. To them we at Tourism Burlington say “Nay! Halloween is not to be confined to 24 hours; it is to be celebrated all month long!” Fortunately, the folks at there are lots of great attractions that share this philosophy and provide many occasions on which to celebrate the upcoming fright-night. 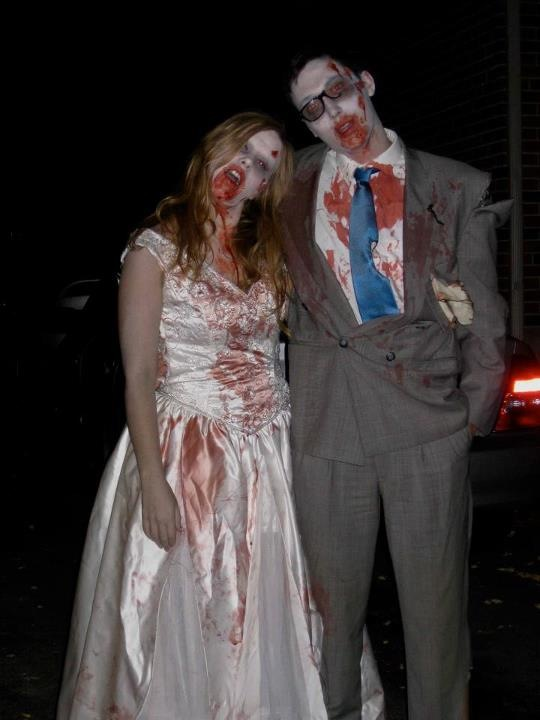 Outdoorsy ghouls and goblins will enjoy some great events happening around Burlington. Saturday October 20th and 27th, take a trip to the Halton Radial Railway for their Halloween Spooktacular. Walk through the haunted car barn and travel in the old, creaky streetcars along the mainline. Costumes encouraged, reservations not required. Bronte Creek Provincial Park’s Camper Halloween on Saturday Oct 20th is a great opportunity to not only get in that last bit of fall camping but also to decorate your campsite, trick or treat and take in a special guided walk. 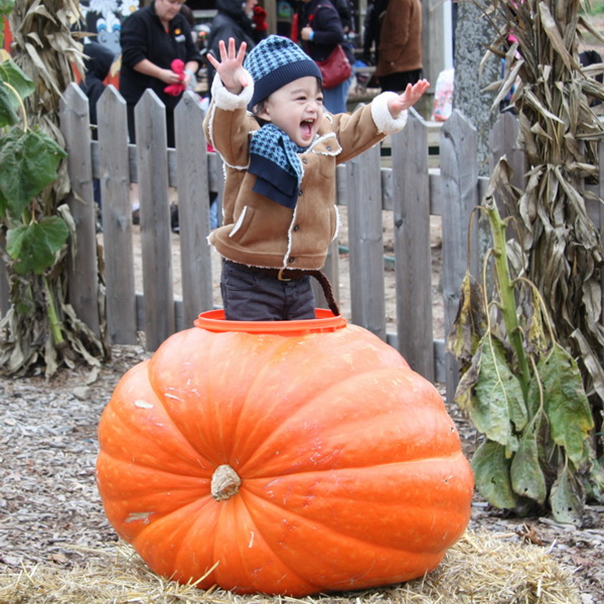 Weekends at Springridge Farm are home to the Harvest Festival. Visit the farm market, take a pony ride, see a professional puppet show, or take a wagon ride to the 5-acre corn trail. 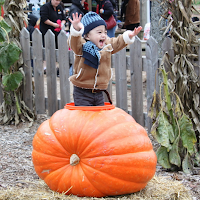 More adventurous guests might wish to explore the Boo Barn, monkey around on the Spiderweb Climber, or try their hand at making it through the Witch’s Mouth Corn Maze, and don’t forget to dress up and participate in the Halloween Parade on October 28th. 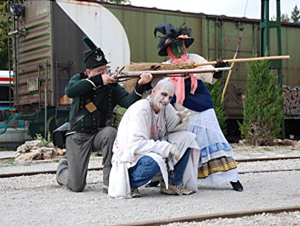 Families will also get a kick out of the Spooktacular Hallowe’en at Mountsberg Conservation on the weekend of October 20-21 and October 27-28. Romp around the haunted playbarn and participate in the skeleton scavenger hunt plus so much more all included in regular park admission rates. While you are there take some time to explore the park and enjoy the remaining fall colours. The Hallowe’en Carnival on Sunday October 28th at Ireland House will feature lots of activities and entertainment for young and old. Learn more about historical mourning traditions or, on a sweeter note, learn how candy was made in the past. The price of admission includes treat bags for all kids & a pumpkin per family while supplies last so be sure to get there early for a fun-filled day. If you are sports-minded don’t worry there are some Hallowe’en themed events that will get your blood pumping. On Saturday October 27th join the walking dead for the Zombie Race, a 5km obstacle course at Kelso Conservation. You will be challenged both mentally and physically as you race against the clock and well as dodging hundreds of brain-hungry, virus infected zombies. Sounds like fun right? The next day runners will be able to race zombie free in the Pumpkin Summit 8k also at Kelso Conservation. This on trail race starts with an ascent up the ski hill and then on to the flat terrain of the wooded trails of Kelso. This will challenge both novice runners and more experienced racers and the view of the fall colours from the top of the hill is amazing. Kids will enjoy the pumpkin rolling contest where after hiking uphill they get to send their pumpkins rolling down the slope. Finally, we can’t forget the trick-or-treating itself. Bring the family to Downtown Burlington on Saturday October 27th for Treats in the Streets. Put on your costume and treat or treat through the streets of downtown at participating businesses. The fun doesn’t end there you can also enjoy pancakes from local restaurants in Civic Square, entertainment at various locations, Hallowe’en activities and more. Visit Mapleview Centre on Monday October 29th for their 14th Annual Safe Trick-or-Treat where “the kids will love the candy and you’ll love the fashion.” Plus kids can create a personalized flip book or have some fun at the Play-doh™ play centre. On Halloween night stop by Seneca Avenue, Burlington’s busiest Halloween street, which typically hosts up to 400 trick-or-treaters between 5 and 8pm! Children, their parents and pets from all over the city flock to this street, so much so that the City has ensured that it is safely blocked off from traffic to guarantee a risk-free and fun-filled night for all. Previous years have included a robotic gorilla, a haunted house, a large projector and hay-bail seating for Harry Potter movie screenings, free popcorn and, of course, some truly amazing costumes. This turns the street into a safe and fun-filled street party where families gather to share the night. All of us at Tourism Burlington wish you a SPOOKTACULAR Hallowe’en!